Goldstein’s carries The Bertolini Collection of Wool and Silk blended Men’s Suits. 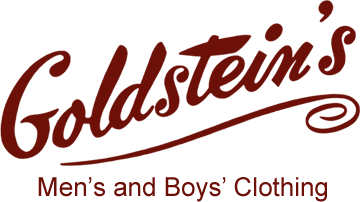 Bertolini suits are designed in the image of top Italian fashion houses using the highest quality fabrics. Bertolini makes an ideal business suit at a very affordable price. 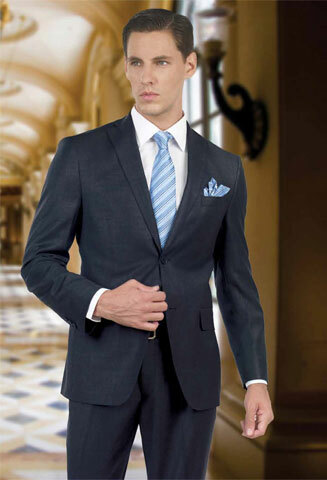 Mantoni Suits are an Italian brand known for style and quality. 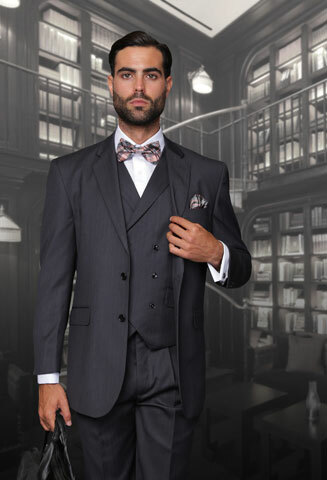 Goldstein’s has a large selection of Mantoni Suits in classic styles and fabrics. Statement Suits are for men who like to dress to impress. Their suits are for those that are bored with the regular basic suit and would like to make more of a statement with their fashion. Accessorize your suit with the latest styles in ties from Stacy Adams. Goldstein’s has the right tie to fit your suit, style, and occasion. Goldstein’s has a selection of men’s pants including the originator of beltless pants, Sansabelt. Men’s Sweater by Steven Land Made in the USA. Vivid color like the Coogi Sweaters of yesteryear that speak boldly with exceptionally detailed design and quality.